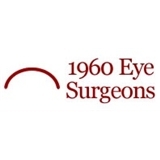 1960 Eye Surgeons (Cypress) - Book Appointment Online! Serving Northwest Houston,Cypress, Spring and Tomball,1960 Eye Surgeons are committed to excellence in eye care and surgery. 1960 Eye Surgeons offers services ranging from annual examinations to cataract surgery with custom multifocal lens implants and lasik vision correction. Our doctors are consistently recognized as America's Top Ophthalmologists by the Consumers' Research Council of America. Come see for yourself why generations of area families choose 1960 Eye Surgeons us to care for their eyes. Front office person seemed a little discombobulated, but the Doctor and her nurse were great!